Reminder: Bus Leaves at 1 P.M. The Royal Family Kids Camp will officially adjourn at Jacob Finger Methodist Church in Mitchell, IN. Please arrive in a timely manner to pick up your child at 2 p.m.
To conclude the final night at Rivervale, campers lit off lanterns etched with wishes for the future in our soccer field. Some lanterns flew far and high out of sight. . .while other ensnared themselves in the local foliage. Royal Family Kids Got Talent! 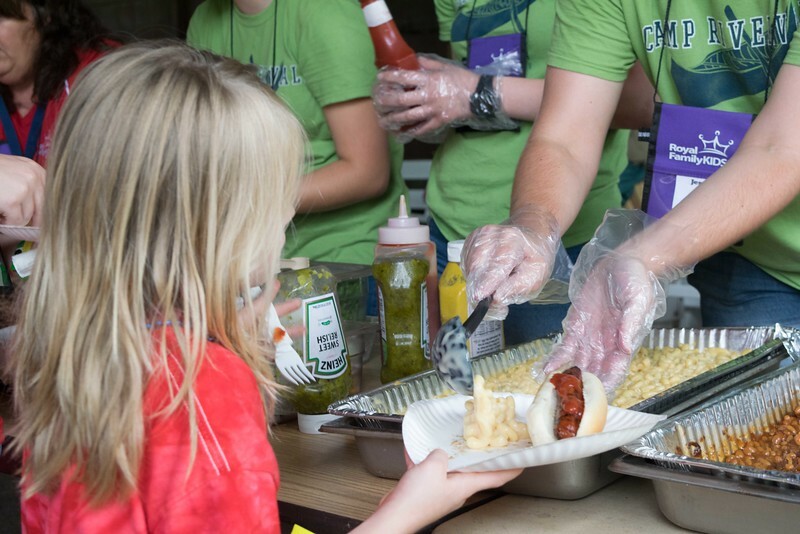 On Thursday, their last full day of camp, Royal Family campers took to the stage to show off their various skills and talents. 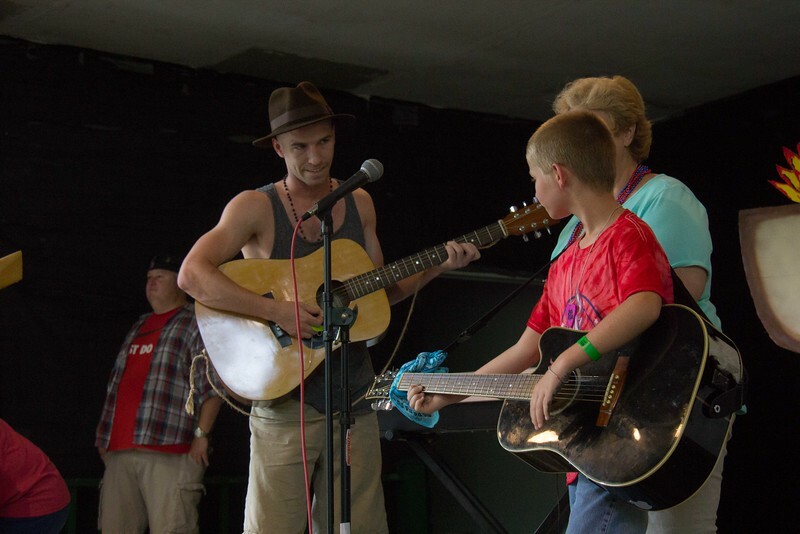 These acts were amazing, considering many campers performed skills that they had learned while they were here at camp. Today, Jill taught our campers that anything is possible when you trust in the Lord and his plans for you. To illustrate this, she told the story of Jesus walking on the water. Peter followed Jesus, but he was only able to walk with him after he placed his heart with the Lord. 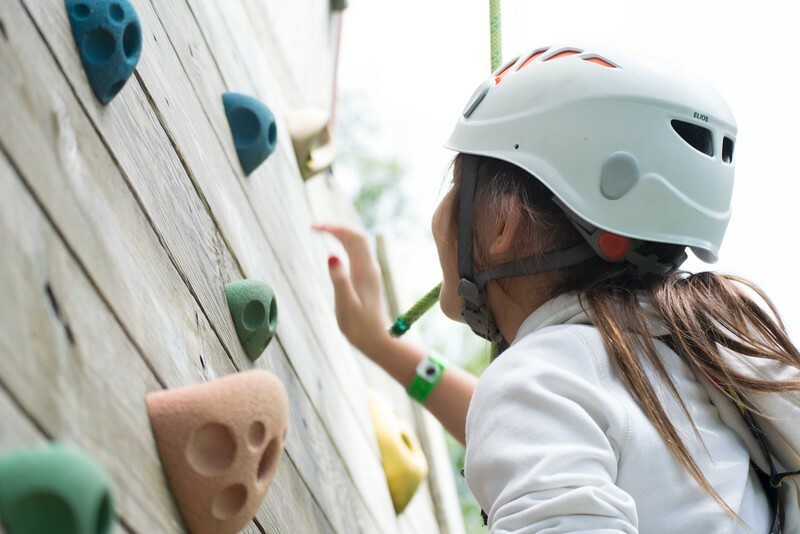 The last of the Royal Family Campers scaled our rock wall this morning and, much like the walls of Jericho in the Bible, this wall was no match for God's young warriors. 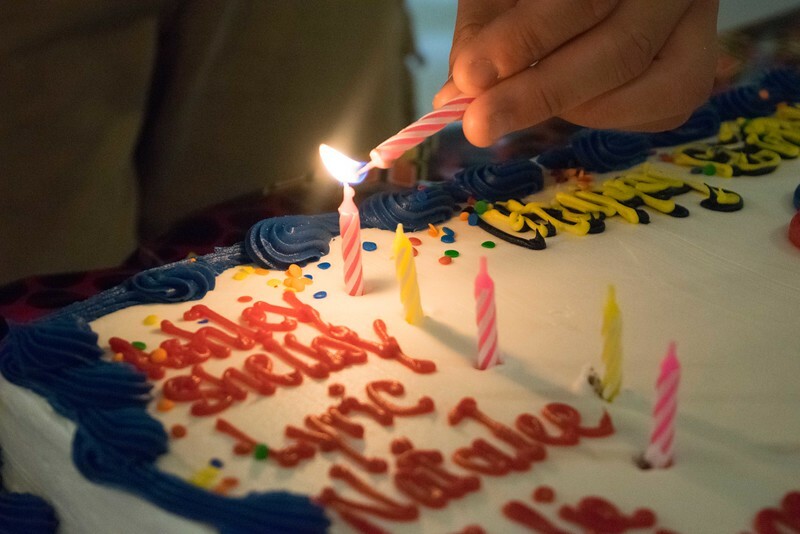 This evening Rivervale hosted the Royal Family Kids' Camp keystone event: a birthday party for all of the campers! 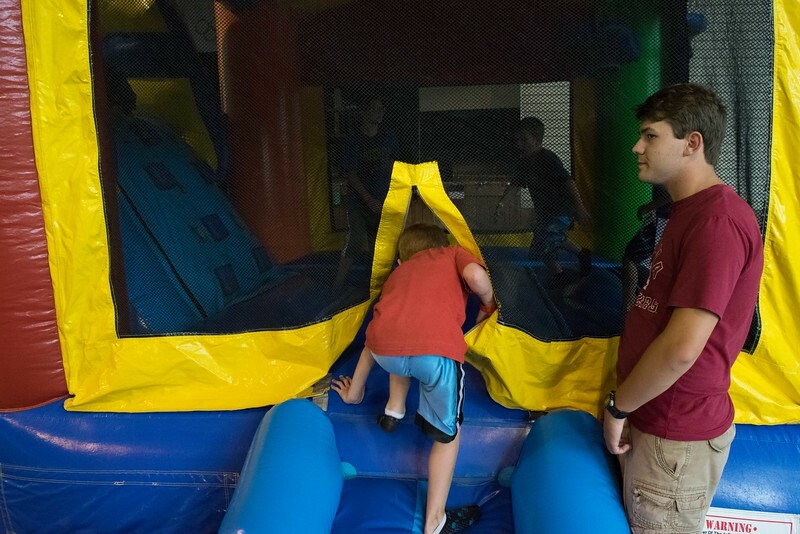 The directors called in a favor from a local business who installed three bouncy castles in the Tabernacle. One of our wonderful kitchen helpers baked a gigantic cake to celebrate, too! A special thank you to all of the guides who made sure this party was one the campers will remember for their entire lives. This afternoon, several adventurous female campers scaled our 35' wall adorned with multicolored rocks. 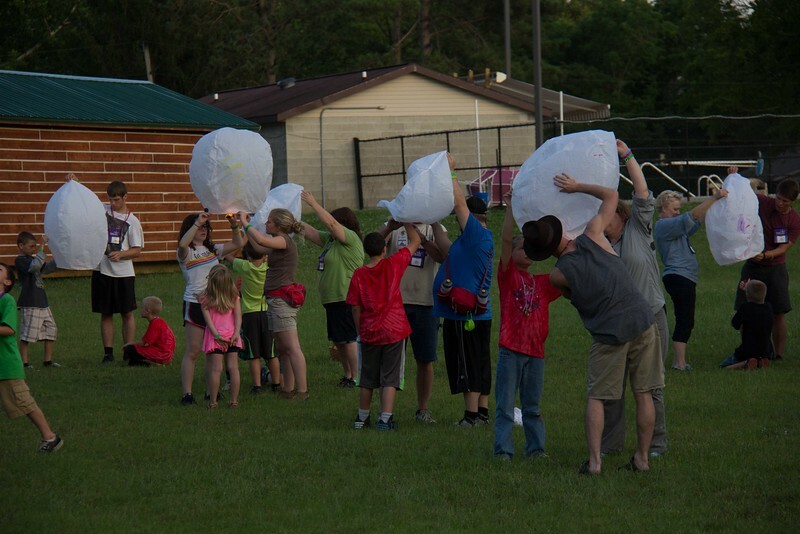 The campers were soon interrupted by a storm, but they returned later in the afternoon to finish the challenge. Before the storm this morning, several of our male campers picked up bows and slingshots (some for the first time) and took aim for some target practice. 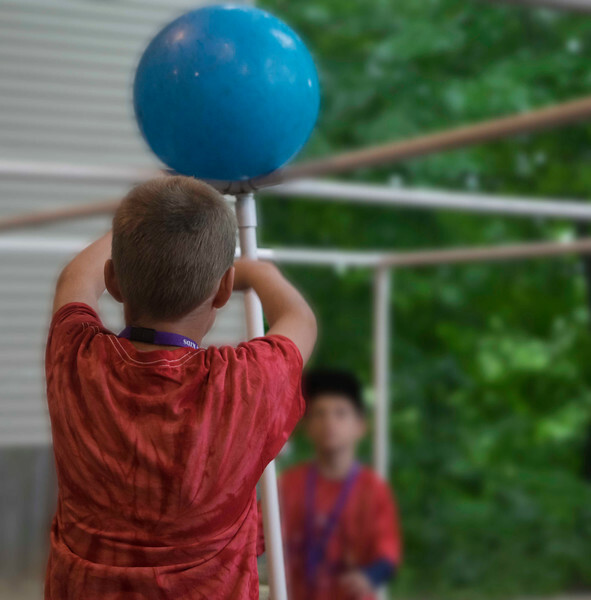 Led by Seth and Chayce, campers perfected their aim on paper targets and tin cans. After naptime, some young girls snuck off for an exquisite tea party in Dogwood Shelter. They had a peaceful time for the first few minutes, right before the party was raided by the boys! 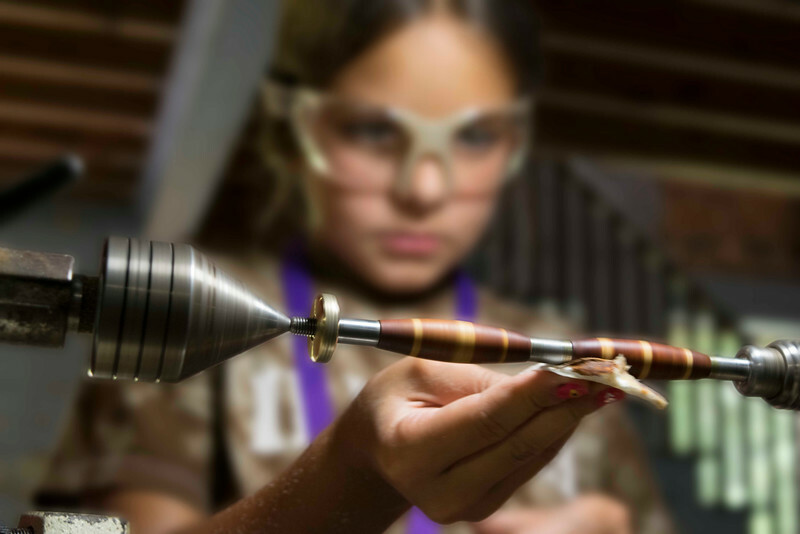 This afternoon several members of the Southeastern Indiana Woodturners visited Camp Rivervale to teach the Royal Family Kids how to make beautiful pens from simple pieces of wood and metal. Built to last, these pens will not only be a tool, but a treasure the campers can cherish for a long time. Before lunch, the Royal Family Kids congregated in Otterbein for an interactive bible story. Our spiritual directors taught children that Jesus' disciples had flaws and, despite these flaws, Jesus chose them. Likewise, Jesus chooses each child for a special purpose. After devotions, campers headed over to the Tabernacle to get their pictures taken with Grandma, Grandpa, Aunt, Uncle and their individual guides. 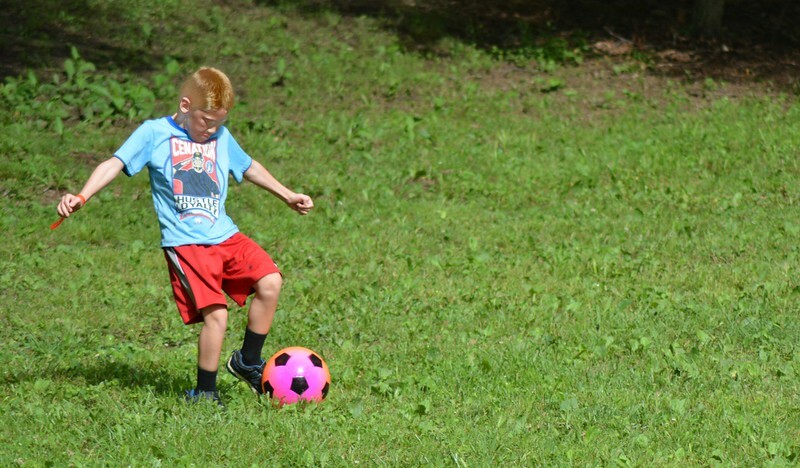 While they waited patiently for their turn, campers played gaga, soccer and nine square. Steve, one of our wonderful camp managers, prepared hot dogs and hamburgers for a welcome cookout in honor of campers and guides. 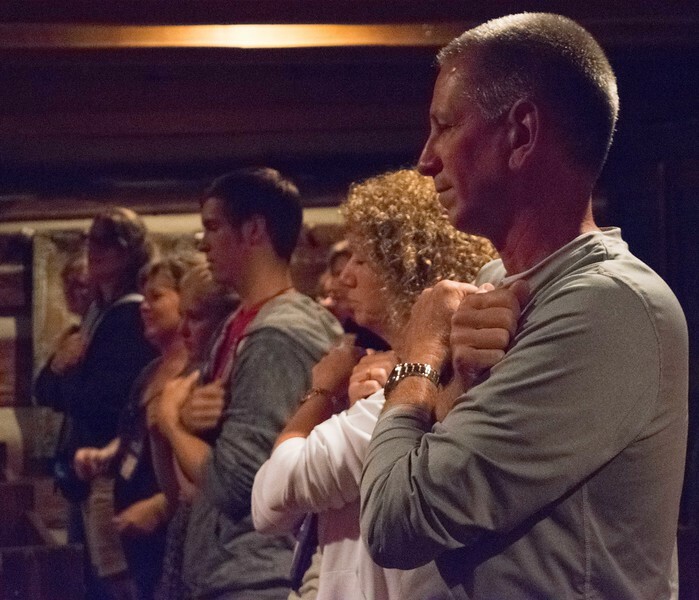 Afterward, the campers played games and sang worship songs before heading off to bed. 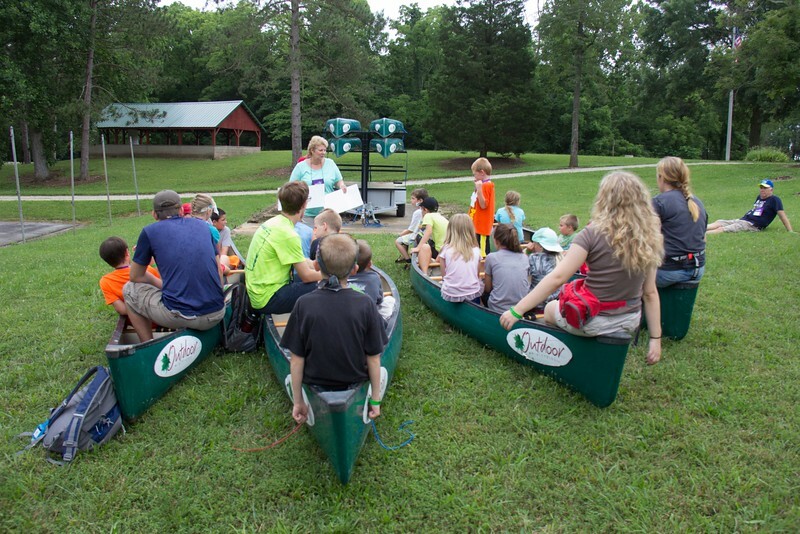 Campers had the opportunity to explore the grounds today under the watchful eyes of their camp guides. 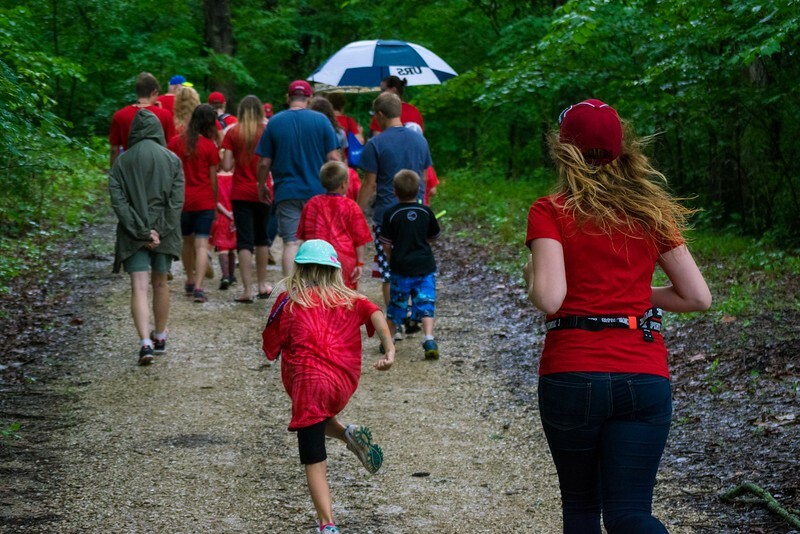 Despite the rain, campers were still able to experience God's creation one on one. After swimming, campers broke off into two groups to paint jewelry boxes with Grandma or build toolboxes with Grandpa. 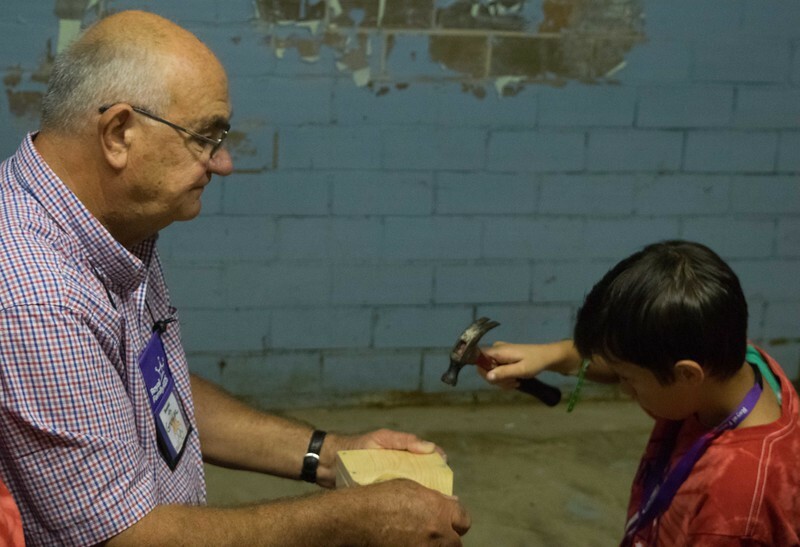 Each campers learned valuable skills like patience and responsibility when handling tools. 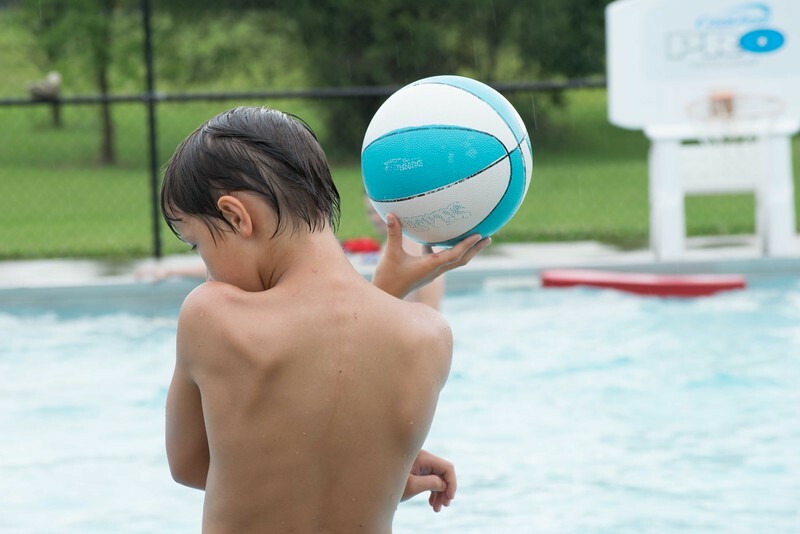 Before swimming in our sectioned pool, campers must take an ability test to determine what areas they are permitted to swim in. Luckily, our wonderful lifeguards took care of the tests quickly and efficiently with time left over for the campers to swim. Campers received a warm welcome from our staff at the Tabernacle this morning. 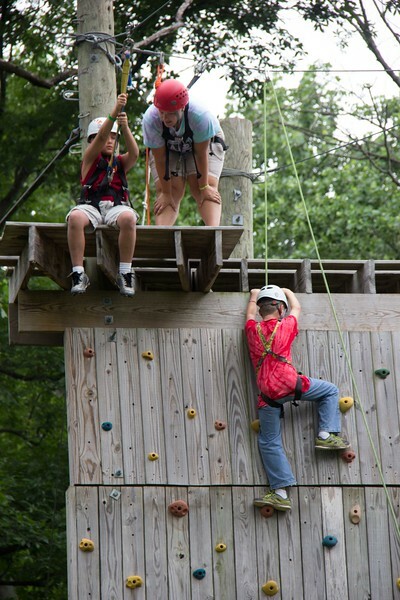 Kids were instantly attracted to Nine Square in the Air, a camp game that is a favorite of campers and guides alike. 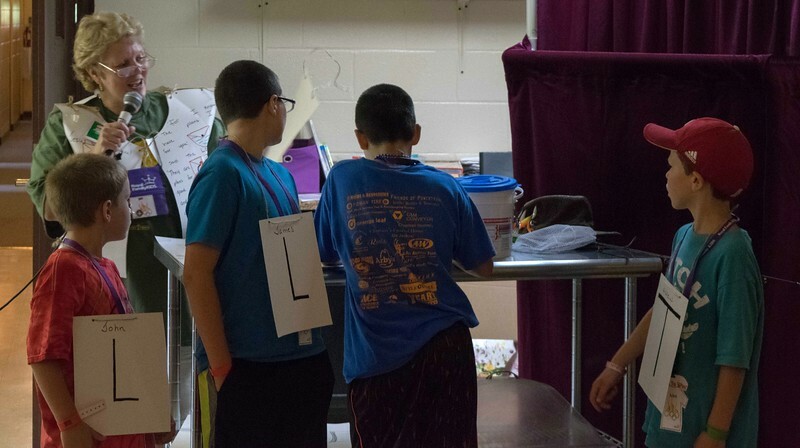 Guides then escorted the campers to their own personalized and decorated bunks, where they quickly settled in. Afterward, kids returned to the Tabernacle for staff introductions and singing! On Sunday, camp staff and guides got acquainted with each other through sharing, training, decorating and a series of team-building activities. Our volunteers are more than excited to get to know their campers!